This event will have two starting flights, one at 11:00 a.m., the other at 5:00 p.m. The World Series of Poker is the gaming industry’s premier event, each year drawing tens of thousands of poker enthusiasts from around the globe to Las Vegas. 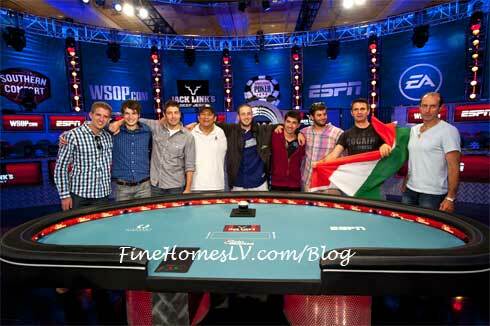 They will compete for millions in prize money and the game’s most coveted trophy – a World Series of Poker Champion’s Bracelet through July 15, 2013.